The Abolition of Abortion in Texas Act, HB 896, was originally authored by Arlington Rep. Tony Tinderholt (R) and would issue a blanket ban on abortion, regardless of conflicting federal laws or court decisions. It would also subject any who were involved with abortive procedures, mothers or physicians, to criminal prosecution. “From what I can tell, this is the first legislative hearing since 1973 on this topic,” said committee member Rep. Matt Kraus just before the proceedings got underway. Despite the tabling of such a bill being seen as a big win for the pro-life community, many are apprehensive about the consequences of allowing criminal prosecutions to take place. Most pro-lifers, however, were thrilled to see so many giving testimony in support of the outlawing of abortion. 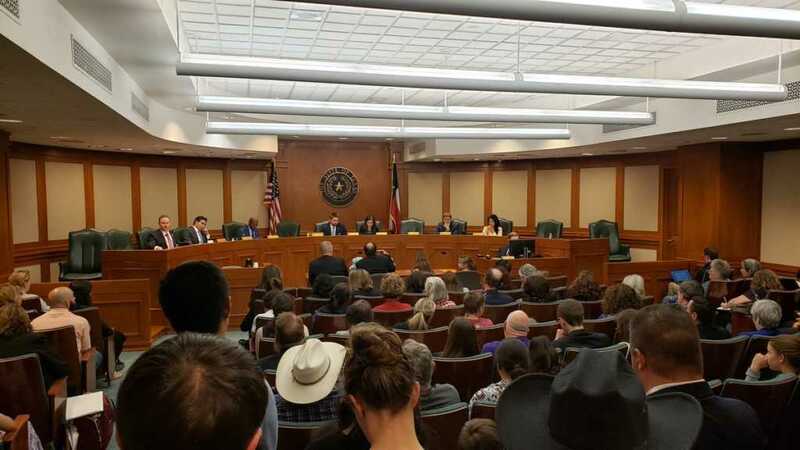 “Hundreds of abolitionists are here at the capitol in Austin Texas for the first hearing of a bill, ever, that would abolish abortion in a state in our nation,” director of Right to Life East Texas, Mark Dickson, told Faithwire Monday night. “This is an epic hearing. The first that is being heard anywhere in our nation’s history!” he said. Some 446 people chose to register in favor of the wide-ranging ban, which was brought to hearing by Plano Republican Rep. Jeff Leach. “There were 446 who registered for this bill, 54 who registered against it, and 2 who were neutral. At hearing’s end 326 people spoke in favor of HB 896 – the bill to abolish abortion in Texas,” Dickson added. Over the course of the length hearing, Leach and the representatives on his committee “heard over eight hours worth of testimony on Monday from men and women whose lives had been impacted in some way about abortion,” Dickson explained. One of those who testified before the committee was 11-year-old Jubilee Thomas, who is the younger sister of the late Jeremiah Thomas — a 16-year-old pro-life advocate whose dying wish was to see abortion be outlawed in his beloved state of Texas. Jubilee was among several children who testified at the hearing. There were several pro-life organizations present at the Capitol Building to campaign and pray for change on the state’s abortion laws. “We want to see abortion treated like it actually is: the killing of an innocent human being,” Dickson told Faithwire. Desiring to create a “culture of life” in the state of Texas, Leach said he would allow a hearing to take place on bills proposed by a member. He did, however, stop short of saying he would allow such bills to advance to the full House. “I cannot and will not support nor will I let come out of this committee any bill on [abortion] which targets the woman with either civil or criminal liability,” Leach said, according to Dallas News. Leach, along with 10 other Republicans, was involved in co-authoring the bill two years ago and has already advanced a separate pro-life motion to the full House which would subject any physician who failed to treat a baby born alive after an abortion to a fine of at least $100,000.